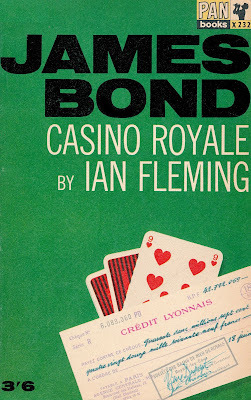 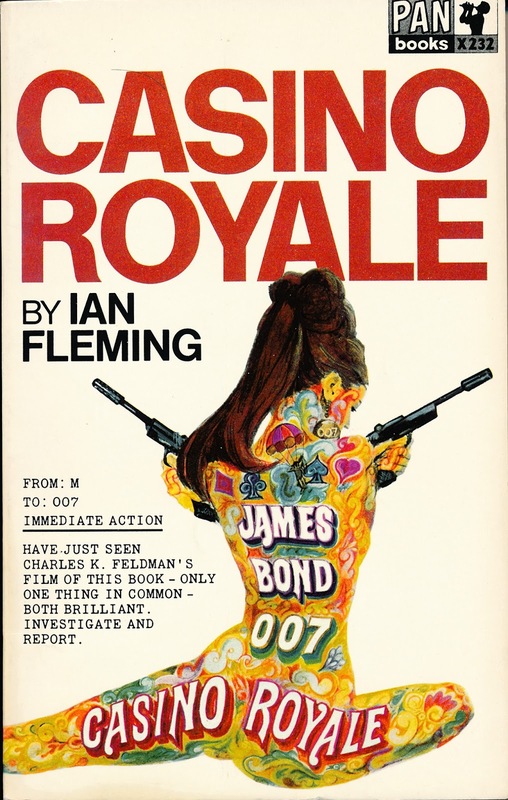 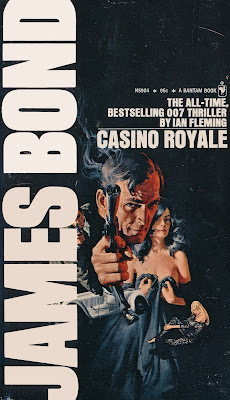 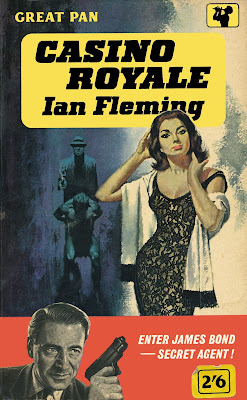 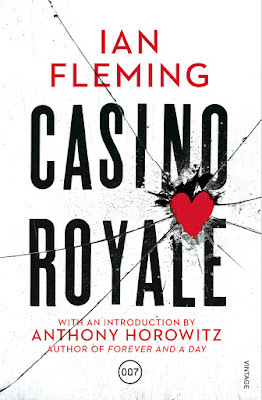 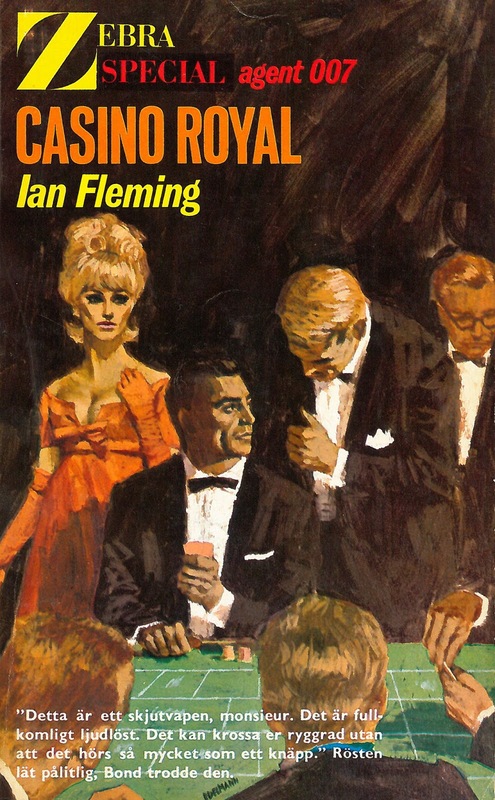 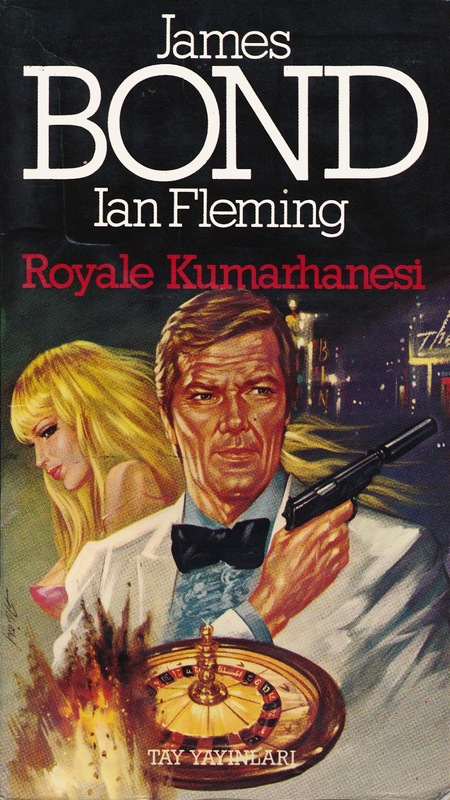 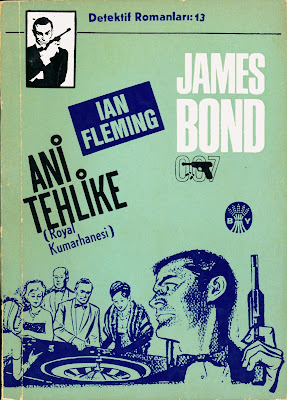 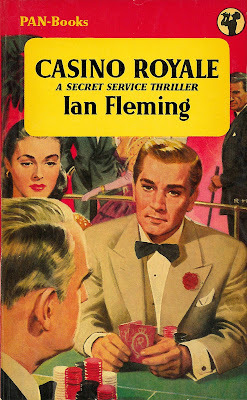 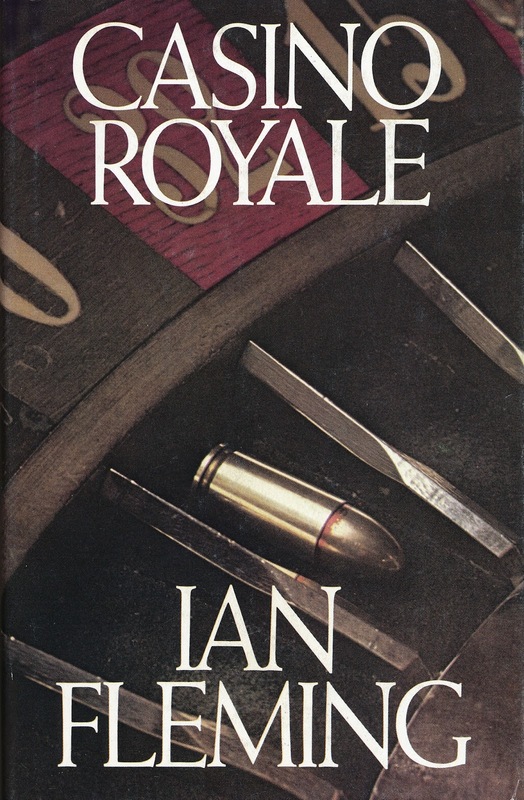 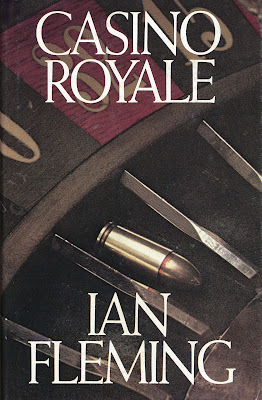 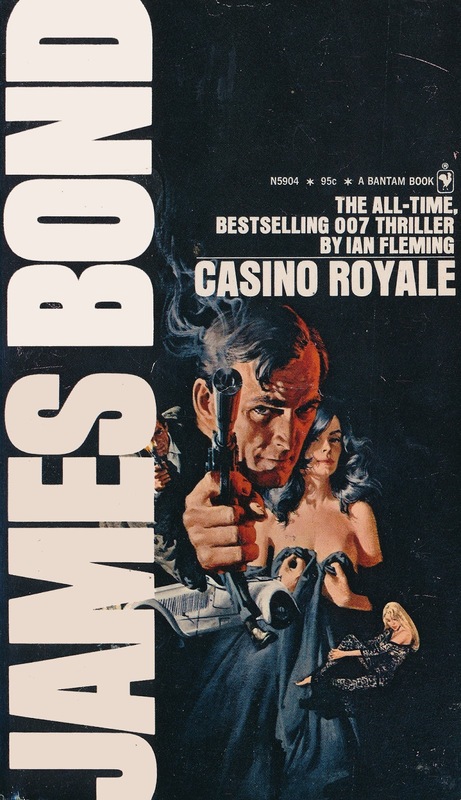 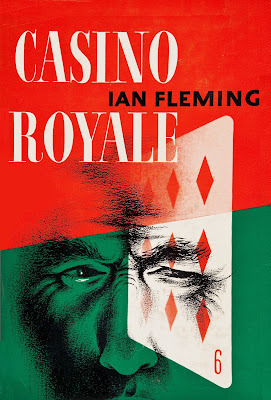 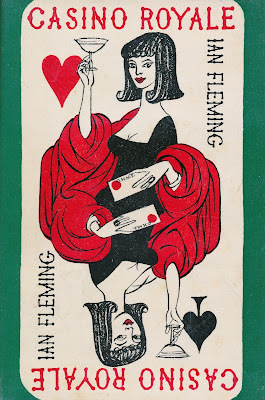 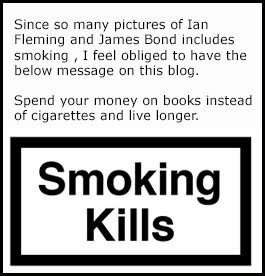 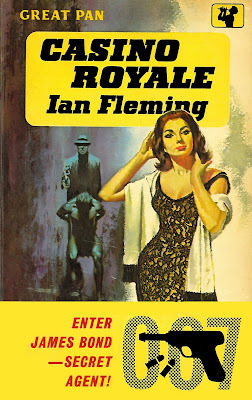 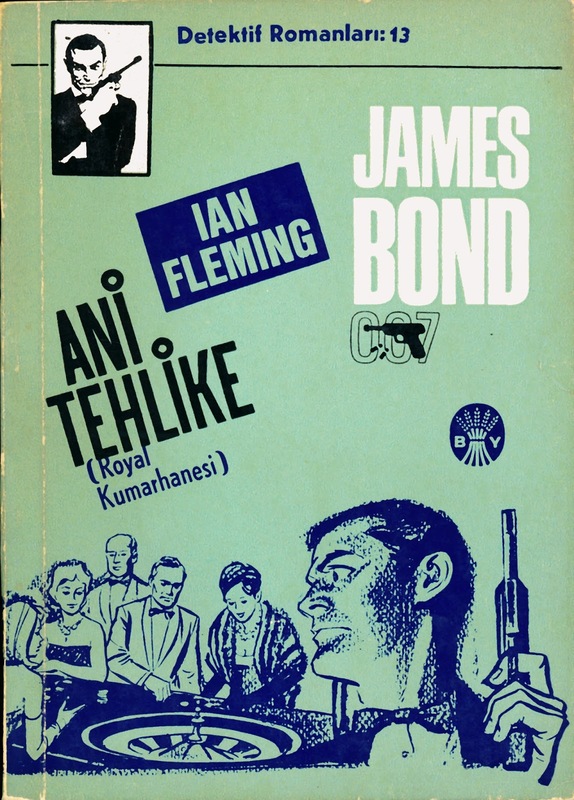 A few days back I gave the Facebook readers of The Ian Fleming Foundation the chance to decide what I was supposed to read after I had finished reading THE LIFE OF IAN FLEMING. A book I have written a blog post about here. 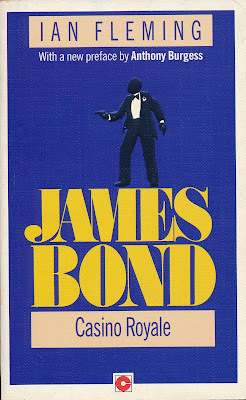 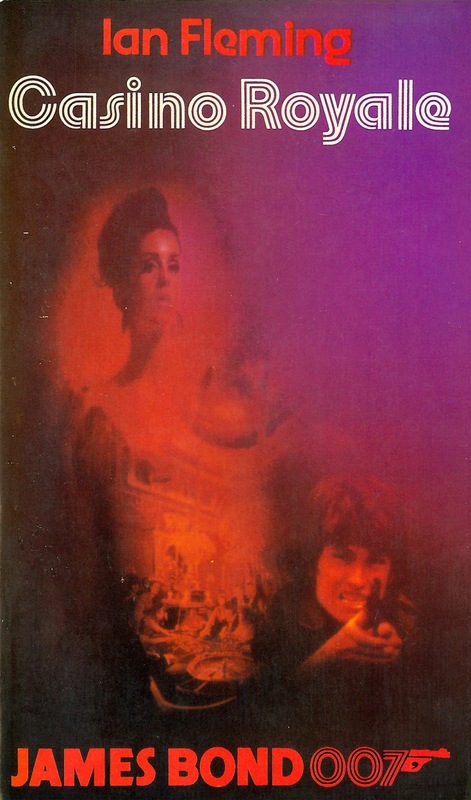 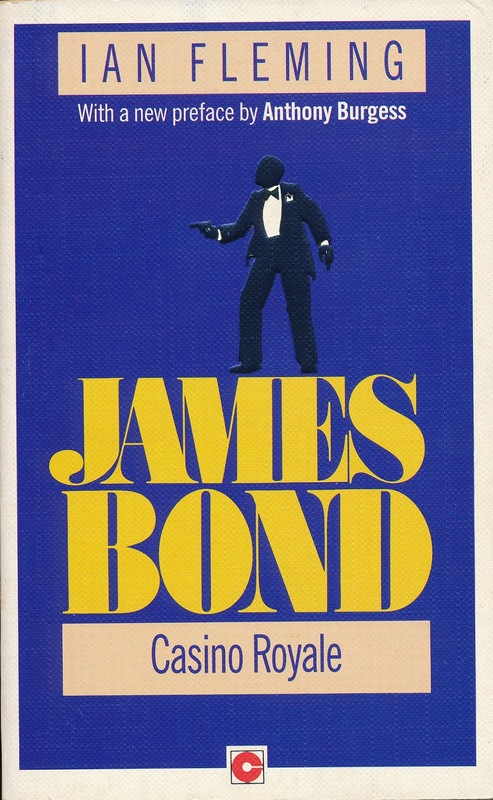 I must be honest and say that I longed to read a book about the making about the James Bond films but you wanted something else. 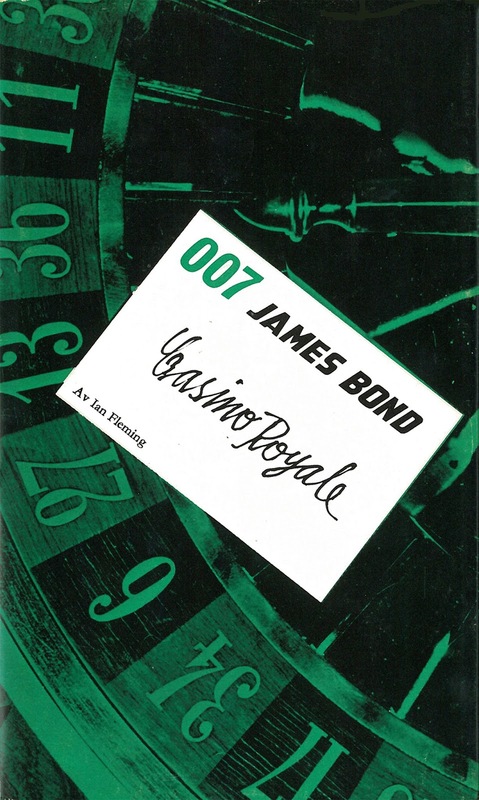 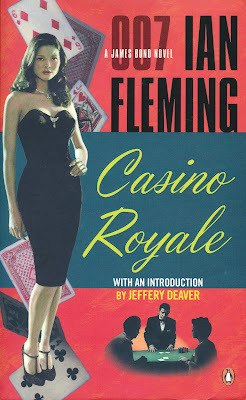 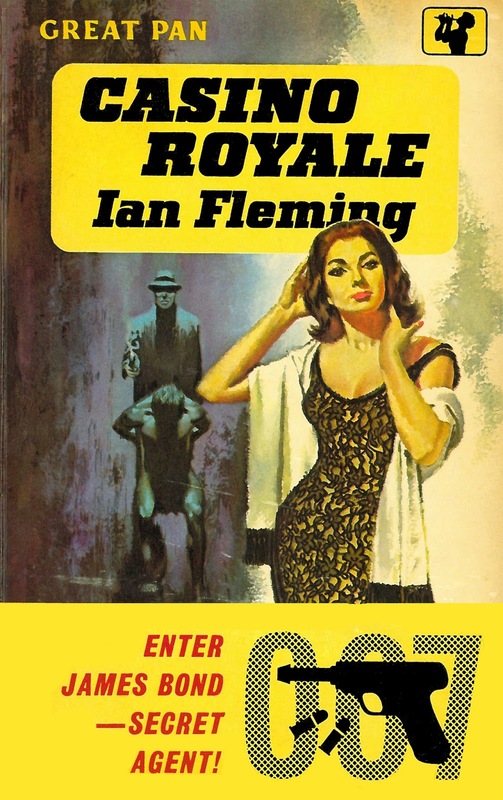 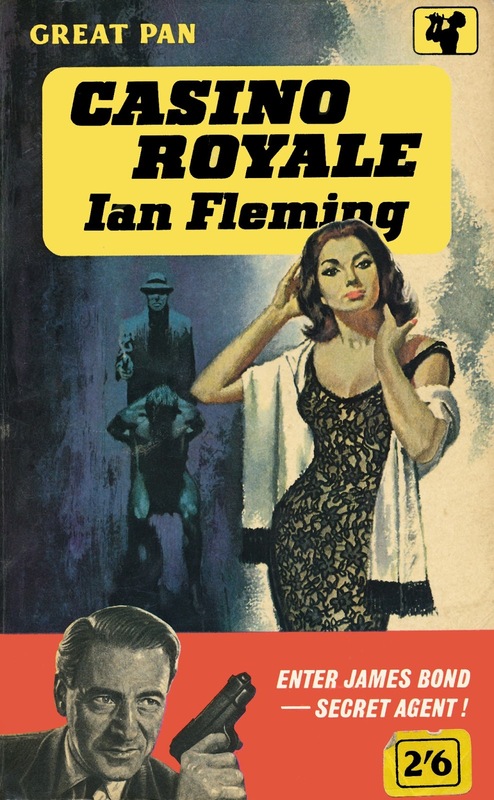 I had decided to read the James Bond novels by Fleming all over again. 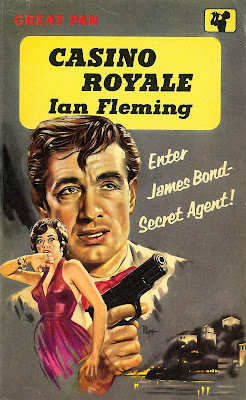 I must confess and say that must of them have I only read once and that was more then 20 years ago. 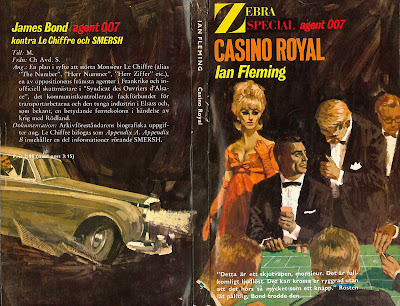 At that time I also read them in Swedish loosing some of the prose of Fleming that I was not mature for. 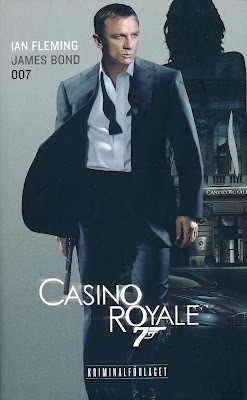 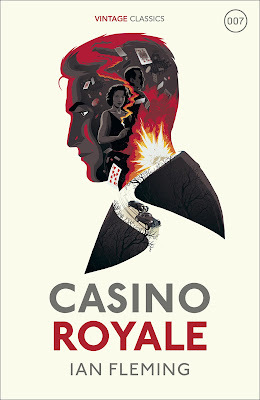 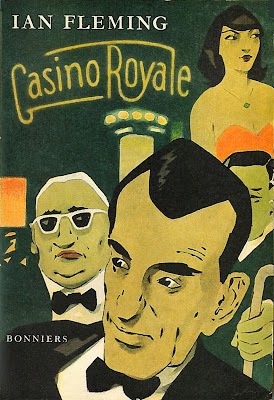 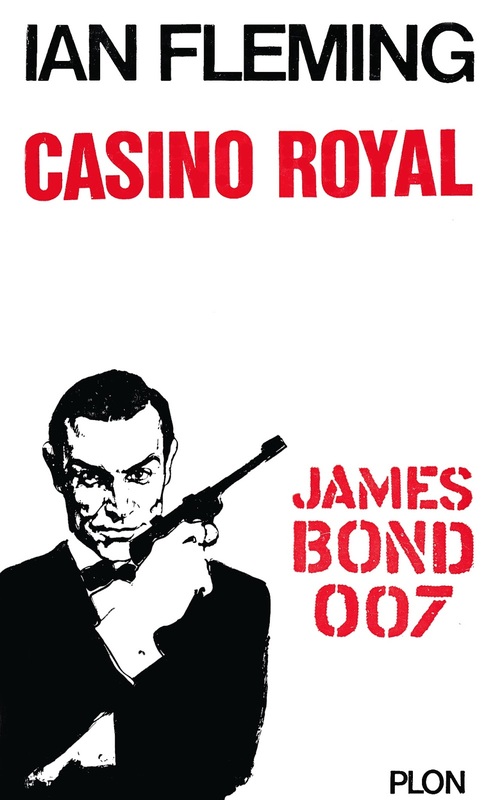 So when the voting was done by the readers CASINO ROYALE stood as a clear winner and I started reading the book yesterday. 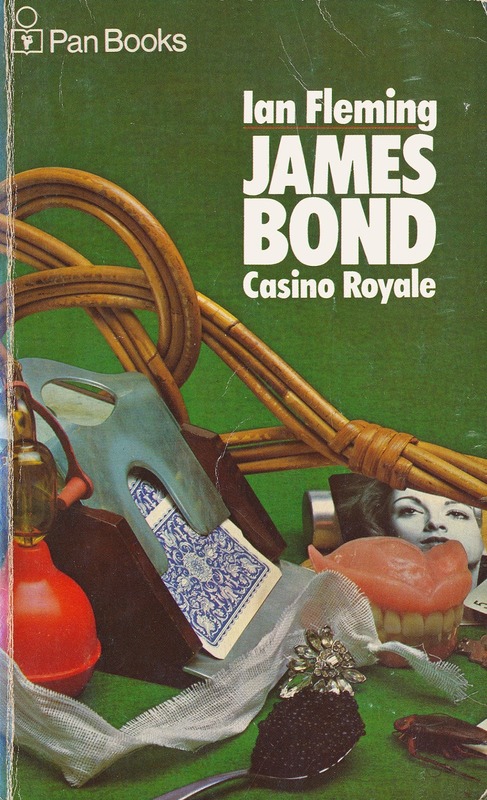 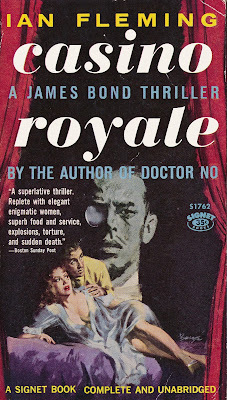 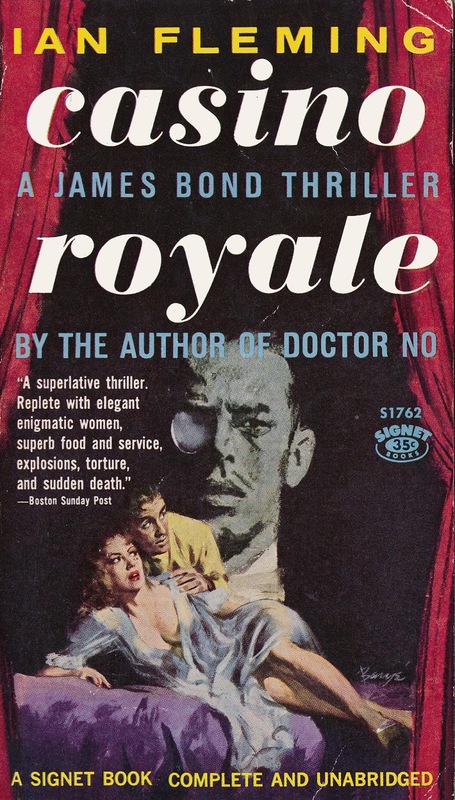 Below you can see some of my Casino Royale book collection. All pictures are from the books of my own collection. 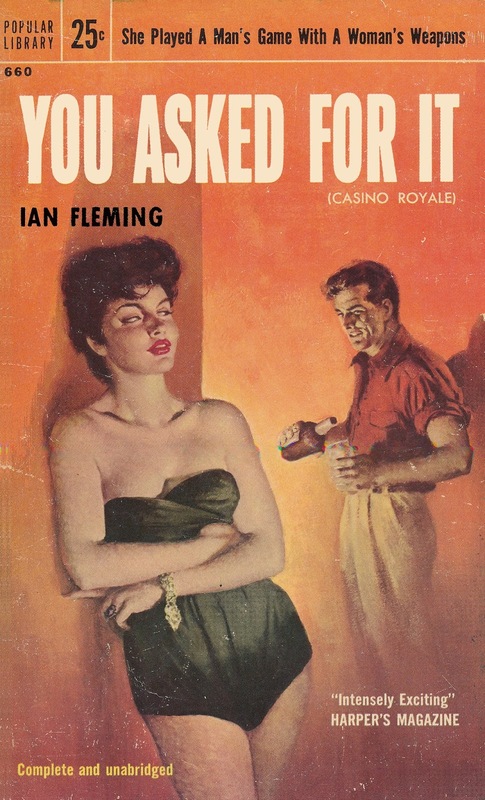 With more to come if the cover speaks to me! 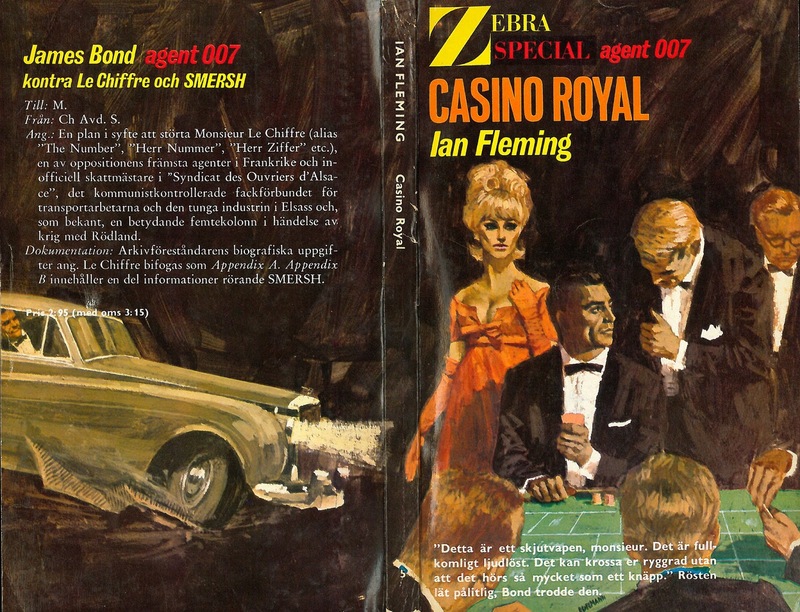 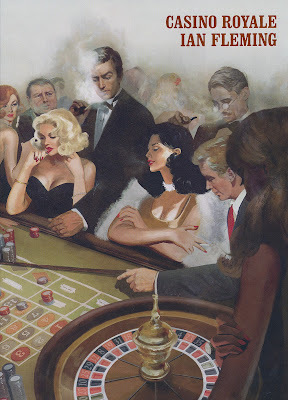 Rare original James Bond painting sold today! Now were did they get this idea?